will work closely with you to help you make your dream wedding come true. First, we will sit down with you to try to understand what kind of wedding you would like to have. 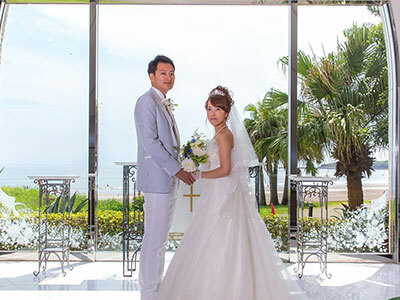 We at Atsuta Weddings will help you turn your dream wedding into reality. 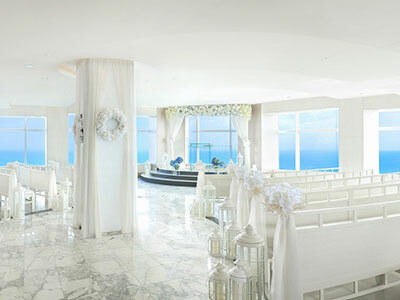 We will also recommend the wedding venue that we think would match the image of your dream wedding. Marriage is about taking a sacred oath of commitment. 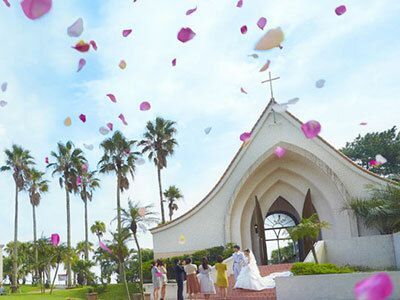 If you wish to have a religious chapel ceremony, please remember to let your wedding planner know in advance so that a pastor can be arranged for you. 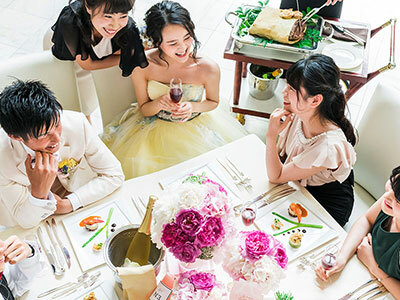 of a wedding. Your wedding dress should be able to bring out your personality as well as stand out at the wedding venue. At our bridal studio, you can try on as many dresses as you like. Our wedding coordinators are dedicated to help you find your perfect dress. Decide on the names you would like to use on your invitation cards. Recently, the trend is to include both the couples names and family names. It is good to discuss with your family first before deciding. Besides the invitation cards, do also include the RSVP card, seating arrangement and map to the venue. Music is crucial to creating the mood you would like at your wedding. Please discuss with our sound technician in advance for the choice of music you would like at your wedding. 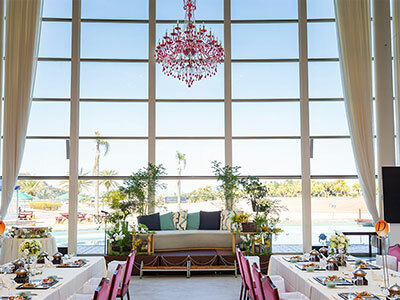 From the flowers to music to the flow of the wedding and stage performance, our wedding planners and table coordinators hope to help make your wedding one is alluring to the 5 senses and unforgettable. 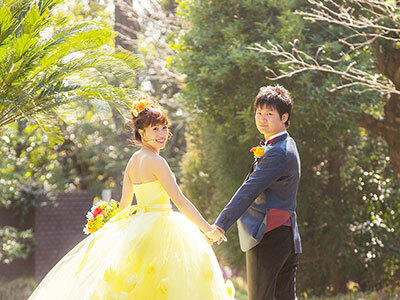 A wedding is a once in a lifetime affair and we have the perfect photo plan for you. We have different plans to cater to your different needs and budgets. Whether you decide to have a wedding reception or not, we hope to be able to help you eternalise your love for each other in photos. Amongst the many wedding paper items, perhaps the most important one is the guest list and seating chart. A lot of care should be taken to make every guest feel welcome and comfortable at the reception. Surprise your wedding guests with small, thoughful welcome gifts! We have prepared a wide selection of gifts and sweets for you to choose from. Wedding goods such as ring cushions, guestbooks, marriage certificates, tablecloth, candles, wedding boards, Flower Shower etc etc…We have a number of wedding gifts and goods that will help to make your wedding complete. Finally, your big day is almost here! Final confirmation of the number of guests and all the other details. Now you are ready for the biggest event of your life! We will be beside you throughout the entire journey. Have a blessed and blissful wedding! as you begin a whole new chapter as newlyweds.